Print Bard to Broadway Theatre Society - Parksville & District Chamber of Commerce, Parksville, B.C. • Join the Chamber Today! 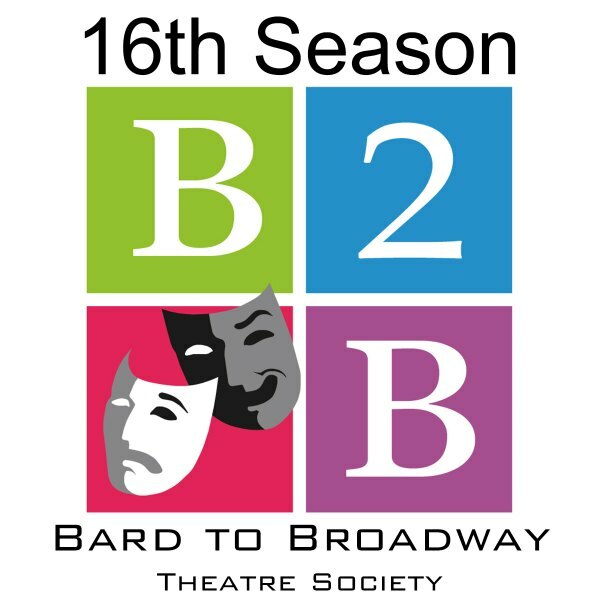 Bard to Broadway Theatre Society is celebrating 16 years of live summer theatre in Oceanside! Their 2015 repertory season starts July 3rd and runs until August 15th. Throughout the summer, visitors and residents will be treated to quality live theatre in the Village Theatre, located at 110 West 2nd Avenue in Qualicum Beach, BC. This season, they are pleased to announce 3 spectacular shows. "The Owl and the Pussycat", "The 39 Steps" and the hit musical, "A...My Name Will Always be Alice". Performances start at 7:30 pm each evening with Sunday afternoon matinees at 2 pm. As part of its Education series, B2B and Teen Musical Theatre (TMT), will be presenting their production of Aladdin Jr. For more information about tickets, pricing and special discount dates, please visit their website at b2btheatre.com. To order tickets by phone, please call (250) 752-4470 and leave a message. Your call will be returned within 24 hours. To get your tickets in person, their box office at the Village Theatre will open on June 20th from 10:00 am until 3:00 pm. You can also keep up to date on B2B activities on their Facebook page or follow them on Twitter @bard2broadway.